A safe is a secure lockable storage container, mainly used for securing valuables and other objects against theft or damage. 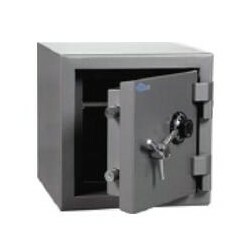 There are many different types of safes available to meet all your needs. Safes There are 6 products. 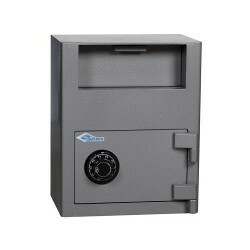 A deposit safe is used for depositing valuables, usually cash, into a safe quickly. The deposit can be dropped in the safe, without opening the safe combination. 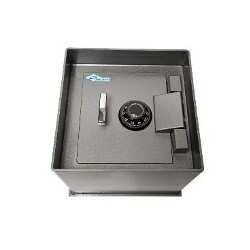 This allows an employee to put the deposit into the safe, and someone else, usually a manager or owner to retrieve it. This is mainly used in retail environments. A fire-resistant safe is designed to protect the contents from very high temperature as well as actual fire. They are usually rated by the time they can withstand the extreme temperatures, while not exceeding an internal temperature of 350°F (177°C). 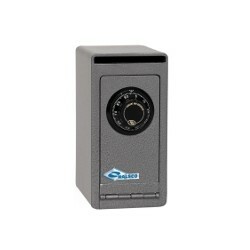 Most safes are rated between 30 minutes, and 4 hours, the most common being 1 hour. A burglary and fire-resistant safe is designed to protect the contents from very high temperature as well as actual fire. They are usually rated by the time they can withstand the extreme temperatures, while not exceeding an internal temperature of 350°F (177°C). Most safes are rated between 30 minutes and 4 hours, the most common being 1 hour. 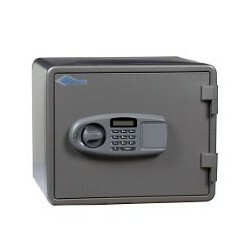 A burglary and fire-resistant safe is also designed to protect against burglary. This is measured in their resistance to the type of tools used and the length of time. The most common, is a RSC (Residential Security Container). A Diversion Safe is a safe made from an ordinary object, such as a book, candle, or can. Objects may be placed inside the “safe” and it is placed in its natural surroundings, such as a book on a book shelf. 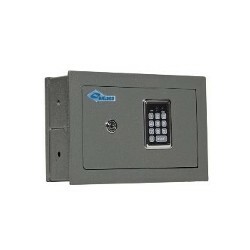 Wall Safes are designed to fit in a standard wall, cut in between wall studs. They are designed to hide from view the valuables that they protect. A painting or picture may also be hung over the safe to conceal it. A Floor Safe installed in a concrete floor is very resistant to fire and attack. However, not all floor safes are watertight and may fill up with water from fire hoses. Anything stored in a floor safe should be placed in a double zipper lock bag, dry bag, or sealed plastic containers. Halsco In-Floor safe are designed to conceal and secure miscellaneous valuable and documents, without others’ knowing the safes location. Proper installation of this safe is below floor lever, in concrete. A steel dust cover is included for flush floor installation and concealment. Virtually impossible to be removed if installed correctly.